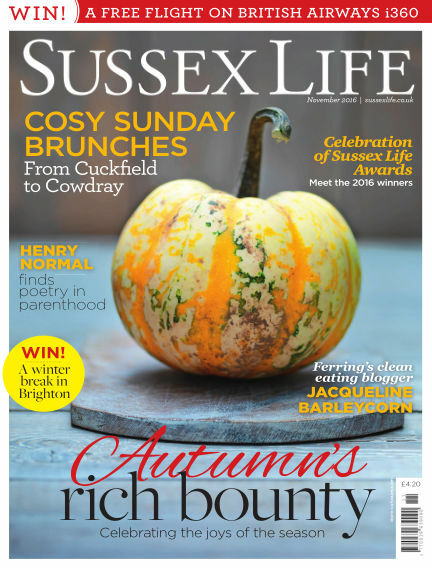 In this issue of Sussex Life : Autumn's Rich Bounty: Celebrating the joys of the season - Cosy Sunday Brunches: From Cuckfield to Cowdray - Celebration of Sussex Life Awards: Meet the 2016 winners - Henry Normal finds poetry in parenthood - Ferring's Clean Eating Blogger Jacqueline Barleycorn - Win A winter break in Brighton! With Readly you can read Sussex Life (issue November 2016) and thousands of other magazines on your tablet and smartphone. Get access to all with just one subscription. New releases and back issues – all included.